We are unique in that with us you can trace the entire process from inception of the design right through to the final product. 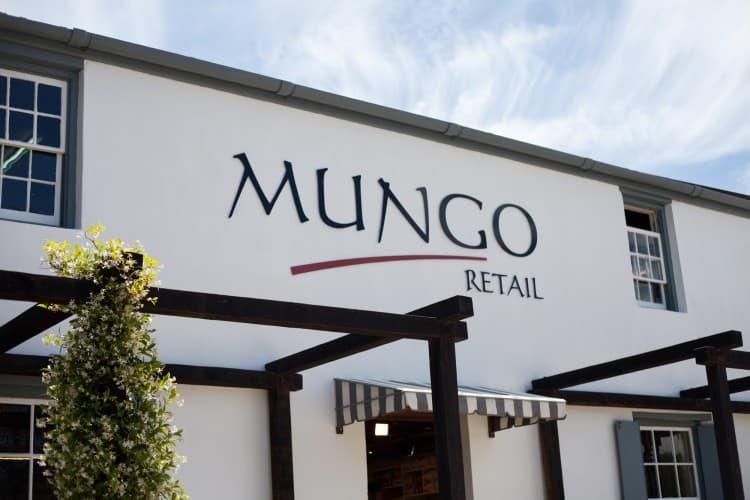 Mungo is a unique textile company with the rare ability to create quality fabrics from the inception of design to the final product. Our weaving mill is based here in Plettenberg Bay and at Old Nick you can visit our flagship store and purchase our incredible textiles. 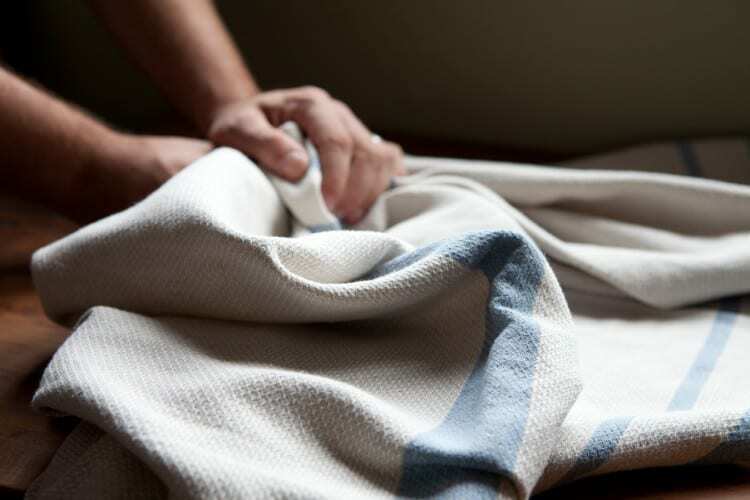 Creating quality sustainable product and doing it in an open and transparent way. In a world of mass production, being able to produce items with a story that is real. That product being enjoyed for its quality and character by those who make it part of their homes. Seeing how the growth of the business is effecting the community in a positive way. We are responsible from the inception of design to the final product, right here in South Africa. Our patterns are still drawn by hand, with paper and pencil not a keyboard. Our sample runs are done on restored antique looms in the weaving museum at Old Nick Village and we test them in our homes. The Mungo Mill is situated on a dairy farm in the Crags just outside Plettenberg Bay. 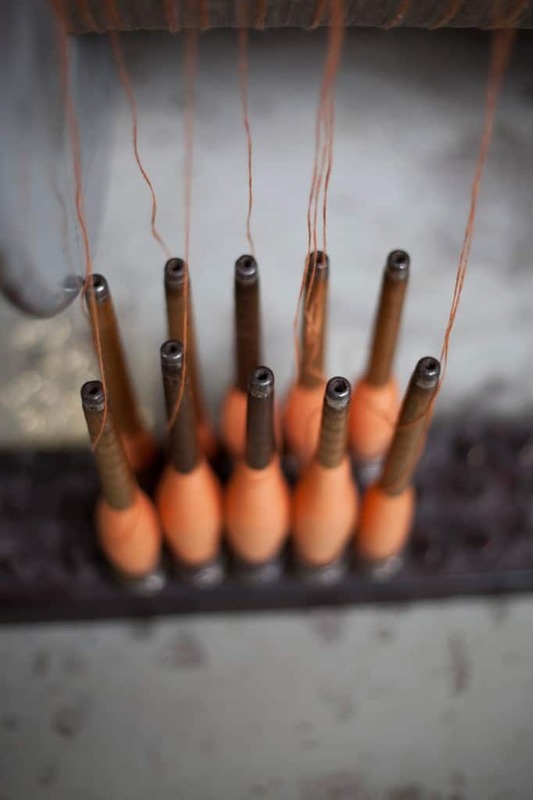 Here our team weave and finish all our textiles. 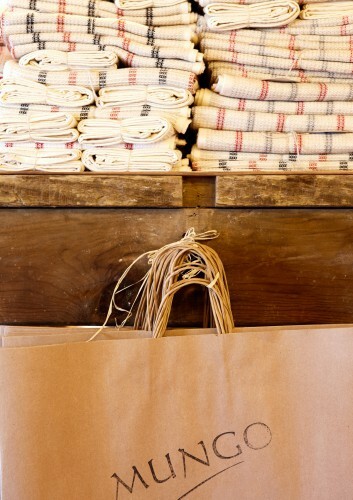 We only use natural fibers and where possible we source our yarn from South Africa. 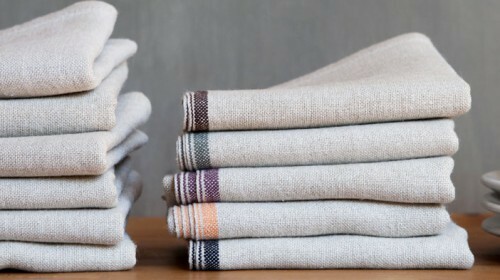 Classic lasting home ware textiles, from kitchen to bedroom. We are most well known for our flat weave towels with their unique attributes. 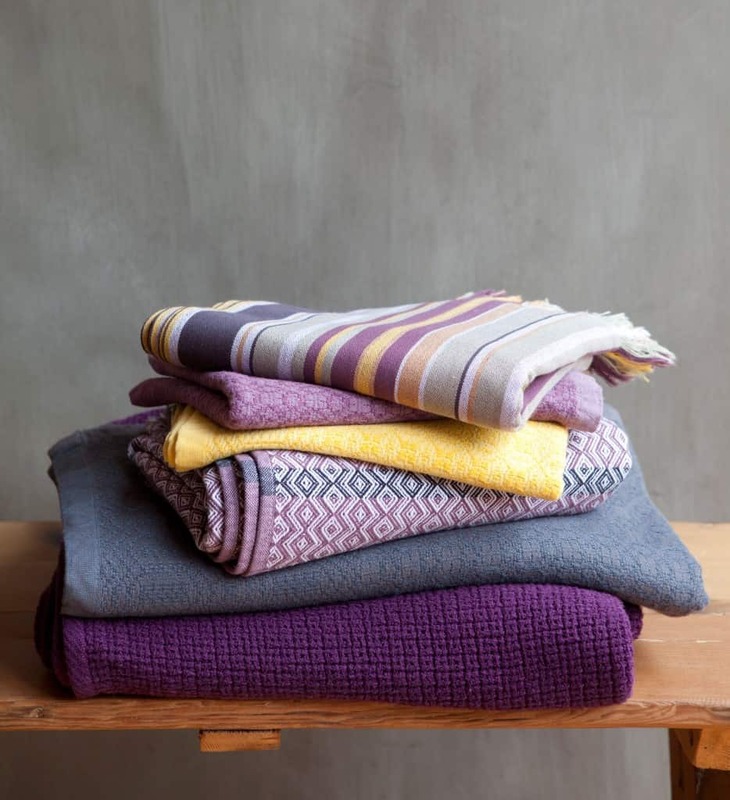 We also do a range of table linen, throws and bedding inspired by antique patterns. It changes all the time but at the moment the iTawuli with it’s distinctive weave and interesting colours is top of the list. What is your favourite part of your craft? Selecting colours, yarns and weaves and applying them to the creation of useful lasting textiles. There are infinite possibilities using these few tools. Being unique, different and maintaining a high quality with every piece that leaves our mill. We’re not interested in chasing the mass produced trends, we’ll keep doing things our way! 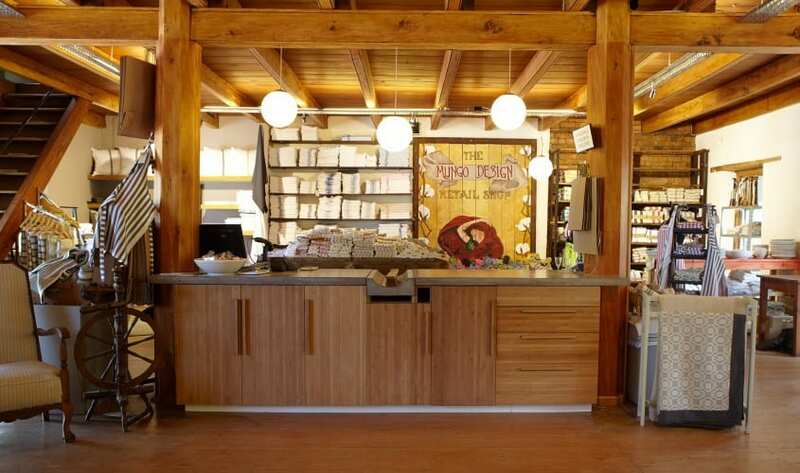 We love our shop at Old Nick, it is housed in a landmark historical building. The history here is palpable, from the ancient beams above to the yellow wood floors below. It really suits our product and our philosophy of preserving historic traditions and updating them for the modern age. All of it! We are unique in that with us you can trace the entire process from inception of the design right through to the final product. The first time we create a product we weave a limited run on our restored antique looms (some of them over a century old) and then that product is used by the family until we’re satisfied, then and only then will it go into full production. How does your business relate to your community and or the needs of the community? 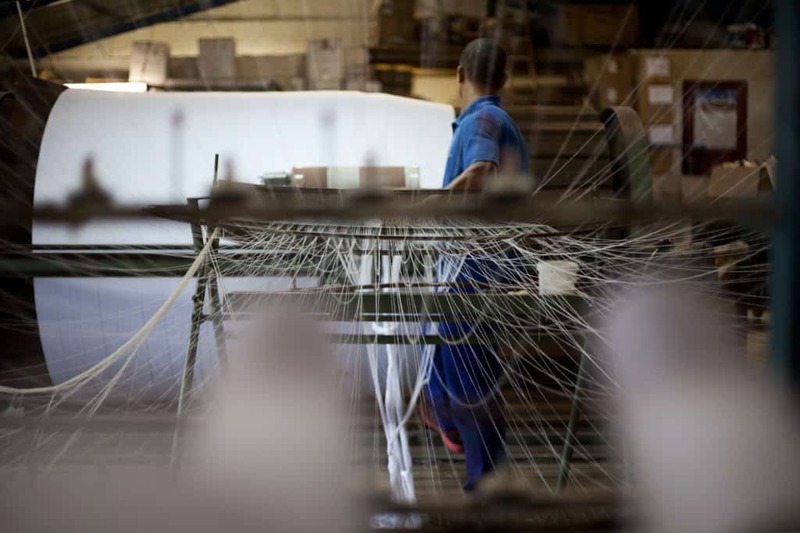 With the Mungo weaving mill based here in Plettenberg Bay we provide employment and skills development for over fifty people from the local community. In an industry were many so called ‘proudly South African’ companies actually outsource their production to countries like India and China, we believe in keeping our production here and in so doing we are making a significant contribution to our community. We’re about to embark on a major expansion in production and the construction of a brand new weaving mill. We’ve got big plans and it’s only up from here!